Suggested by Destroyer Smaug is a dragon so this is a fairly interesting match. I’d say that he has the edge over a generic Dragon because Smaug has proven himself to be exceptionally dangerous in combat. You’re just not gonna be able to stop him very easily. This dragon will have to retreat before the awesome power of Smaug! At the end of the day their abilities are pretty much identical but only one can win. Smaug wins. Suggested by Destroyer Crabs are pretty intimidating if you think about it. They never give up and they don’t back down. The only way to stop a crab is with a lot of raw power. Fortunately for Smaug that is something he can do. 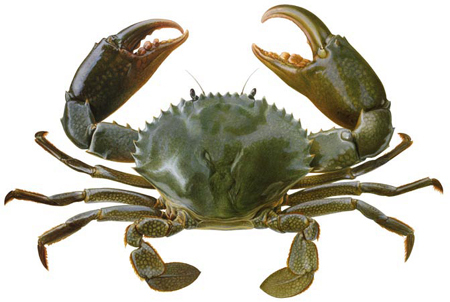 He can fire a quick blast to cook the Crab or he can use his claws to deal some punishing attacks. Either way I think it’s safe to say that the Crab is absolutely doomed in this fight. He’s simply outgunned and outmatched. Smaug wins. 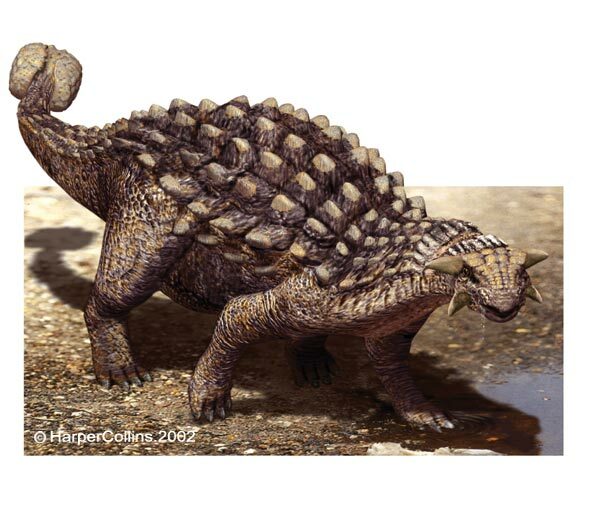 Suggested by Destroyer Ankylosaurus is a pretty tough dinosaur. The spikes help to stop long range attacks and he is surprisingly quick. That being said, there isn’t much that this dino can do against Smaug. Smaug can stay at a distance and continually hit him with fire attacks until the dinosaur eventually goes down for the count. Ultimately there just isn’t anything he can do without a long range attack and it just goes to show how important it is to have such an option. Smaug wins. 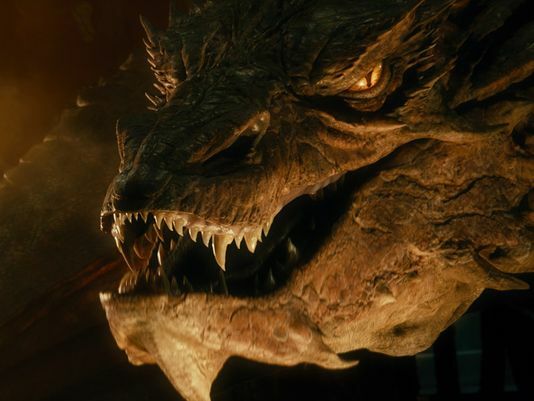 Suggested by Destroyer Smaug is a powerful Dragon who has a real eye for precious gems. That being said, it has no real offensive capabilities beyond the standard fire breath. The BioLizard has a large array of lasers at his disposal which would knock Smaug out of the sky. While Smaug is potentially faster, his speed won’t really be a factor when his attacks won’t do much more than scratch the BioLizard. 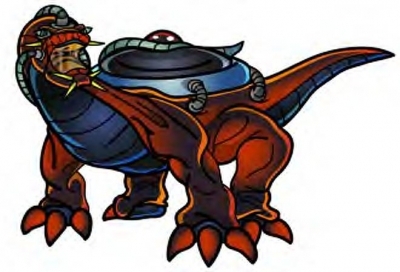 This creature wasn’t the prototype of the Ultimate Life Form for nothing after all. The BioLizard wins. 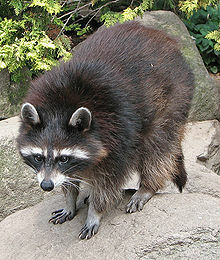 Suggested by Destroyer Raccoons are fun animals who are crafty and quick. That being said, there isn’t much that they can do in this round. 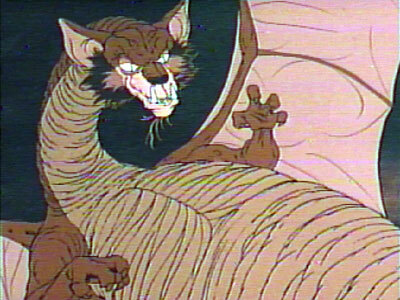 Smaug’s fire breath is the perfect long range option and his physical attacks would suffice for brawling. He is just too powerful to lose this match. Smaug wins. Suggested by Destroyer Smaug is a pretty powerful dragon and one good fire blast can definitely end the round in an instant. 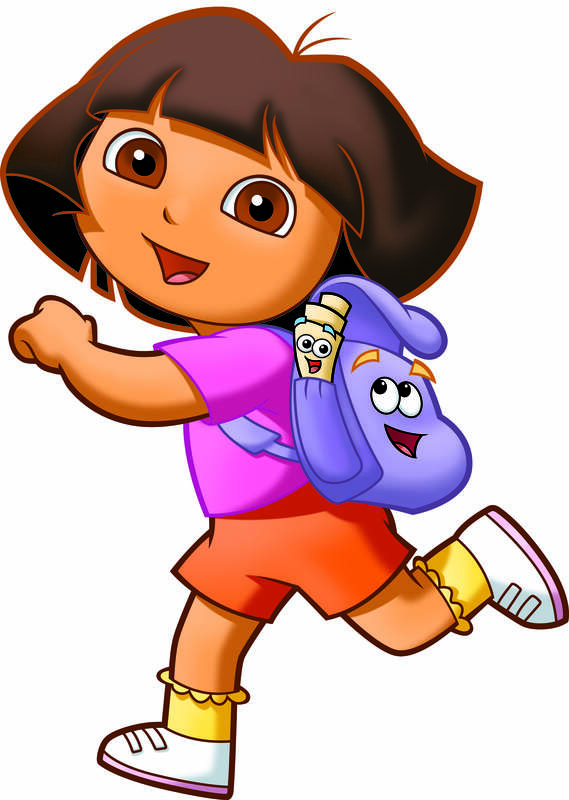 Dora The Explorer can’t navigate her away around this fighter because he is just too big and too strong. He may not have been able to stop Frodo, but he hasn’t yet fallen so hard that he cannot beat a little kid. Smaug wins. This could get a little sad for the fans, but I think that Toothless actually has a pretty good shot at winning this battle. Smaug may…possibly have more brute strength and cunning on his side, but he’s simply no match for a dragon like Toothless. Toothless’ speed is not to be underestimated and his energy blasts pack a punch. Toothless will be able to dodge Smaug’s attacks for as long as it takes to win this battle. 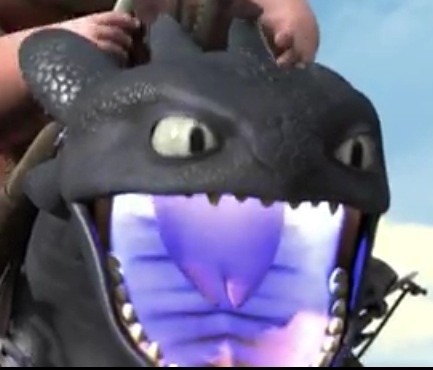 Toothless wins. The Hobbit trilogy ends with this title and it has certainly been a long road. The Lord of the Ring films have always been known as long journeys and the Hobbit films have kept up that tradition. However, they are already at their destination in this film so all that’s left is the war. This means that we get a whole lot of action and less travelling, which can be a good or bad thing. I can certainly say that I liked it more than the other two Hobbit films and most of the LOTR titles..maybe all of them. So, I’d consider that a success. The plot continues where it left off in the last film. Smaug is attacking the village and the casualties are certainly high. They seem unable to stop this powerful dragon so it’s a pretty bleak beginning. Let’s just say that the situation is still resolved fairly early on in the film so that we can head back to the plot of Bilbo and Thorin. They have retaken the castle, but now Thorin is beginning to lose his mind. He wants a certain jewel at any cost and he’s willing to go to war for it. The Elves are glad to oblige while Sauron’s forces also decide to jump in on the fun. So, who are the 5 Armies? We have The Elves, The Orcs, The Dwarfs, Thorin’s group, and a second batch of Orcs. (The Townspeople as well) Will the heroes decide to team up or will they just join in the free for all? Looks like it’s time to find out! As you can probably guess, I definitely did not like Thorin. He was a pretty disappointing character since he basically just made all of the same mistakes as Frodo and (future) Bilbo Baggins. He lets the gold control him completely and he can basically be thought of as a villain here. He threatens Bilbo and his allies while deciding that many casualties are acceptable as long as he is rich. He definitely has no regard for the lives of others, but the other Dwarves continue to follow him because they are very loyal. At least, that’s Bilbo’s rationale and it certainly doesn’t help the followers. They need to know when it’s time to just throw in the towel and call it a day. Deciding to betray Thorin to go help the others would have definitely been a good idea. Thorin does get some big moments at the end to try and make him likable again, but it just doesn’t work for me. He went way too far during the early scenes so he would need at least one extra film of being a great character to overturn that. It’s just too little and too late right now. Bilbo is still not a great lead since he’s just not a charismatic character. He is trying to help Thorin get through these trying times, but he doesn’t do it in the same way that you would see a Tom Cruise or Matt Damon type of character achieve it. He is still not a fighter so there’s only so much that he can do, but I think he just could have been more likable. His only action scene involves him throwing rocks, which certainly wasn’t that impressive. He should have just put on the ring and attacked with a sword. That would have certainly worked out a little more for him. The best fight scene in the film is easily the battle against the Wraith creatures. They were certainly awesome to fight against in the video games so it was cool to see them appear here as well. The scene in question may feel like it doesn’t have anything to do with the trilogy, but it helps to tie things in with the Lord of the Rings films. This battle was as close to a CBM fight as you can hope to get as the Wraiths showed off their super speed while the heroes blocked their blows. I think the Wraiths probably should have won that round, but at least a few of the characters got to show off their might here. This also leads to a pretty intense scene between one of the heroes with the big villain. The villain looked very intimidating there and the effects were glorious and while you can probably guess what will happen next, it doesn’t take away from the fact that this is an opponent to be feared. The hero’s voice got pretty strange and maybe a bit too warped to take seriously for me, but I guess it is meant to show you that this character is using all of her power now. The soundtrack is decent, but it has a bad habit of popping up at inopportune times. The film loves to use the main hobbit theme whenever possible. So, it can pop up even during a danger scene or a sad scene where we shouldn’t have such happy music. There is a decently good score for Smaug’s battle though. I can’t say that I noticed music for most of the film, but what I did hear wasn’t bad. The director just needs to work on not using the theme so often. The battle scenes are still not that great for the most part. Naturally, I did like the Wraith scene, but the battles against the average Orcs were not that great. I always wince when I see the heroes just go on their knees and stick out their spears as they wait for the enemies to come at them. What if the enemy just yanks your spear away or kicks you? There are so many enemies that you feel like they will just run over the heroes and leave them on their backs. As for the actual fights, we mainly just get to see the heroes annihilate the villains by the dozens and a stab attacks from both sides. I found the scenes potentially less violent than the other LOTR films, but there will always be a few stabs on either side that can be dicey. There is also some animal violence to be found here as horses and mythical creatures just can’t endure the arrow strikes. There’s a lot of action, but it’s not quite Captain America level in terms of how good the scenes are. The fact is…it will almost be impossible for this kind of fight scene to ever match up to something like Captain America since one on one styled fights are more interesting than war scenarios. Now, a 2 on 2 fight or a 4 on 1 team effort is another story altogether. Gandalf looks pretty bad though and this will certainly give his naysayers a little more ammunition to fire at him. He spends a good portion of the film being locked up and then he quickly rides off to warn the heroes of an incoming threat. That’s good, but then he doesn’t even try to fight the villains when they arrive. He has his scary voice to intimidate those who hear him, but his spells really don’t seem to be that great. I expect more out of a wizard who has gotten the amount of hype that he has obtained throughout the years. Smaug still looks as menacing as ever, but talk about a disappointing finish to a big character! I already knew what would happen to him through the rumors and the book being out, but it may be even worse than you would expect. Let’s just say that all he has to do is not fly at the sharp thing pointed at him. He has a few minutes of prep time since the heroes can’t move and are just pointing the object in a straight line. 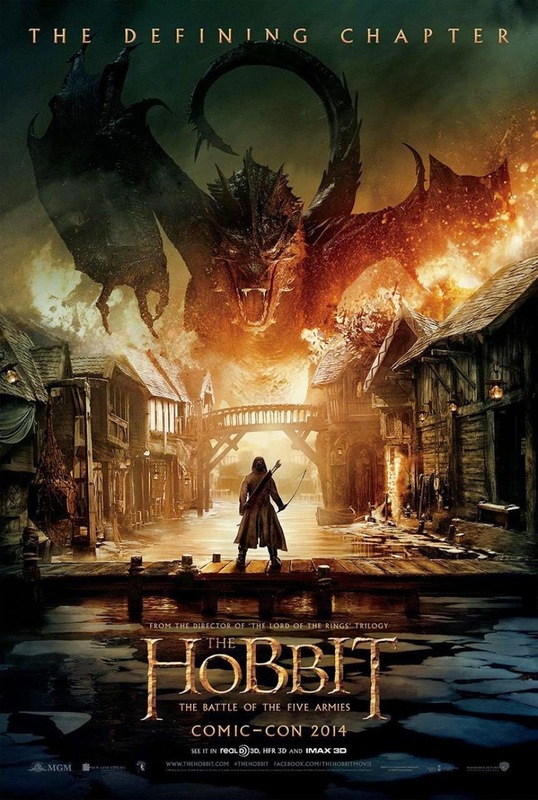 Smaug sees this, but evidently doesn’t care since his body is indestructible and all…..I guess he overrated himself. It was cool to see him lay waste to the town and his flame abilities are impressive, but he is certainly not a smart villain. He should have done far better considering the circumstances. Legolas is probably still the best fighter on the hero side and he manages to get in his fights. You’ll probably be sad when he and Tauriel disappear for about an hour, but they quickly start to do their part once they arrive at the big battle. Legolas had a pretty good fight against one of the main villains and it’s hard to see any of the other heroes coming out victorious in that battle. Unfortunately, he does fall into the tricky embrace of romance, but he is forced out of it in the end. That will let him really focus on the battles at hand. On the bright side, the romance angle did help him make some good decisions like not abandoning the battle and deciding to help the heroes. I do have to question what the point of going to the villain lair was when they weren’t going to fight, but at least they almost arrived in time for their intel to have been put to use. He’s the best hero in the film to be sure. Azog is one of the big bosses, but he was never a cool character. You may chuckle as he runs away from Thorin during the battle and tells his minions to distract the king. He’s not a bad fighter, but he knows when he’s outmatched. He’s essentially human level in speed while he has a little extra power. His body is pretty resilient since he survives a whole lot. I do think that the arm blade is a nice touch and he gives us a pretty good fight, but he’s certainly not an interesting villain. Tauriel is one character who was pretty disappointing. She was portrayed as a great fighter alongside Legolas in the other Hobbit titles, but here she mainly plays the role of damsel in distress. She meets eyes with Kili, which distracts her from the fight so much that she forgets that she was even in a battle. That is definitely a rookie mistake and she just doesn’t bounce back from that. She is too emotional to go on in the climax and she spends most of the early part of the film telling the others to desert a kid who ran off to help save the land. She was just a very poor character by the end and I don’t think that she was handled well. Bard is one of the main characters and he helped the townspeople regroup, which was good. He was certainly more likable than Thorin and I actually thought that he was a pretty decent character. He’s certainly not the strongest warrior out there, but he’s easy to root for and he could have been an interesting main character. Kili is another one of the fighters who gets a role and looks pretty similar to Bard and Thorin. All three of them are easy to mistake for the other, which is why I’m glad that Thorin was wearing a cape for most of the film. Kili is definitely not quite as interesting as the other warriors and he was one of the reasons why Tauriel wasn’t good in this film so that doesn’t help his case. His hero moment also backfires at one point in the film so things definitely do not go his way. Elrond barely appears in the film, but he’s pretty cool. His battle against the Wraiths was pretty good in and of itself and was enough for him to be one of the best characters in the film. It’s too bad that he didn’t get more of a role since it would have been cool to have seen him fight some more. Saruman is also in the fight and he definitely looks good to the casual observer. If you haven’t seen the LOTR films, you would definitely like his role a lot. He is another skilled fighter whose magical abilities easily exceed Gandalf’s. At least…in this film. You know where his plot is going so that can be a little sad as he walks off, but otherwise he has a pretty good role. Thranduil is the leader of the Elves and he’s another great fighter. It just goes to confirm my suspicions that the elves are the strongest hero race in the series. It seems like they produce all of the best fighters and they seem to be ready for battle. I have no doubt that they would have crushed the Dwarves in a battle. I’m glad that he just didn’t let Thorin keep the jewels and he was one of the better characters in the film. You get a Gilgamesh feel from him as he seems to consider himself above mere mortals. Elves are immortal I believe so he can certainly outlast one. He takes down a lot of Orcs in one scene, but unfortunately that is basically his only action scene. Maybe two if you count him verbally humiliating Gandalf. Alfrid serves as the comic relief for the film and he definitely gives Bard a hard time. The film is so serious that you’re not sure if you should take his scenes seriously or not, but I’d definitely consider him as one of the villains. He almost drowned someone and threw someone overboard so you certainly can’t call him a hero. The only thing that you can give him credit for is his determination. He’ll do just about anything to get out of being in the battles. He has a lot of self confidence in this and he even talks back to the king. When someone gives him work to do, he casually gives it to someone else. His design also works perfectly for this. As far as comic relief characters go, he’s definitely better than many others, but he’s not going to be the next Hercule. It’s too bad that they didn’t arrest him here and even Bard seems to give up as he offers some parting advice. One big pro that should be mentioned is that I didn’t get knocked out during the film! These films typically make me lose consciousness at least once, but I was up and ready for action the whole time. There is a chance that it was the theater effect since you typically won’t fall asleep there, but I think that the film was just more interesting this time. You actually cared about the subplots like Legolas and the village. The main plot also wasn’t that bad. I still didn’t care for many of the characters, but simply being interesting is always a great positive for any film. After all, you can’t enjoy a film if you are bored by it right? How much plot hax is in this film? Well, there are extensive amounts of it I’m afraid, but that’s to be expected. Most films have some degree of plot hax and LOTR styled films typically have more than the average film since it involves mere mortals fighting beings beyond their comprehension. I’m actually okay with the supernatural elements here since Mages beating Demons is perfectly believable. What isn’t believable is the actual battle of the 5 armies. They show us a contrast at one point and the villains badly outnumber the heroes. They already had the edge before the final army group of villains arrived. The villains have Kaiju Worms and Giants to back up their Orcs while the heroes have nothing. You know that the heroes will ultimately win, but you don’t see how it is plausible as the fights are going on. Legolas, Tauriel, and Kili have to team up to take out one fighter and he nearly destroys them all. Now, this villain was far stronger than the average Orc, but there are still thousands of other Orcs and the other heroes aren’t quite as skilled. You won’t believe that the heroes can win for a second and the film is unable to change that. I think they should have just showed more foot soldiers on the heroes side and maybe a few wild cards like a heroic glacier beast or something. We had no super soldiers and Gandalf certainly wasn’t going to jump in! It’s still not my kind of film, but Battle of the Kings did a better job than I could have expected. It doubled my expected rating of a two for this film and fixed many of the errors that I had with the others. One of the reasons why it can’t get much higher than this is still the kind of a film that it is. I’m not a big fan of war films and I also don’t like films that take place in the olden days or in a universe where it is always the olden days. I’ll take the present anytime and the future next. I just need a more civilized setting where characters don’t have to go barefoot through the wilderness. For that matter..I don’t like the wilderness. Just give me a few cities and I’m set. In the end, Bilbo ended up being a much better character than Frodo and I would say that the Hobbit trilogy is vastly superior to the LOTR films. This trilogy had a 4, a 3, and a 2. The LOTR trilogy had a 3, a 3, and a 2 I think. Or two 2’s and a three, I forget, but it’s not as close as the numbers would suggest. Overall, Battle of the Five Kings is the most enjoyable film in the LOTR continuity to date. The fights still aren’t great, but they are certainly done in a better way than the other films. The fight with the Wraiths was particularly impressive and it would be great if all of the fights were like that one. If they were, I think it’s safe to say that I would have added an extra star. Alas, it still suffers from some of the typical errors like the war violence being a bit much and nearly all of the characters being unlikable. No eye shots this time, which is pretty great though and the film is an improvement over all of the other titles in just about every area. The ending may be happy for some or sad for others who know what is about to happen. Either way, it perfectly transitions into the first LOTR film so you can always check that one out next to continue the saga! I recommend this film more than most of the other big war films, but you could probably also check out another fantasy title like Final Fantasy for even better results. The pictures say it all…..Well, either way I would go with Alduin. He can shoot flames and ice, which would make quick work out of Smaug. 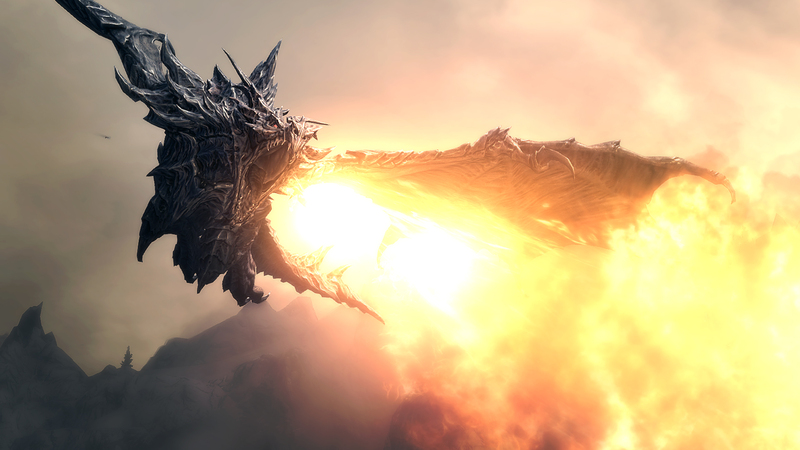 If it came down to a physical fight, Alduin would have the edge due to his sheer ferocity. 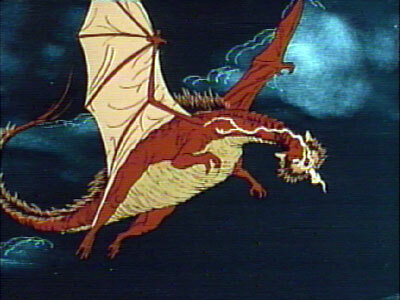 I do have to say that his design is a lot cooler than Smaug’s, but I don’t take that into account in the fight. Both of these are powerful dragons, but I would say that Alduin is in a league of his own. Alduin wins. The Ender Dragon is back and he’s ready for a tough loss. Smaug is definitely no big shakes, but he’s still a fearsome beast and one good blast will be enough to finish off Ender Dragon once and for all! 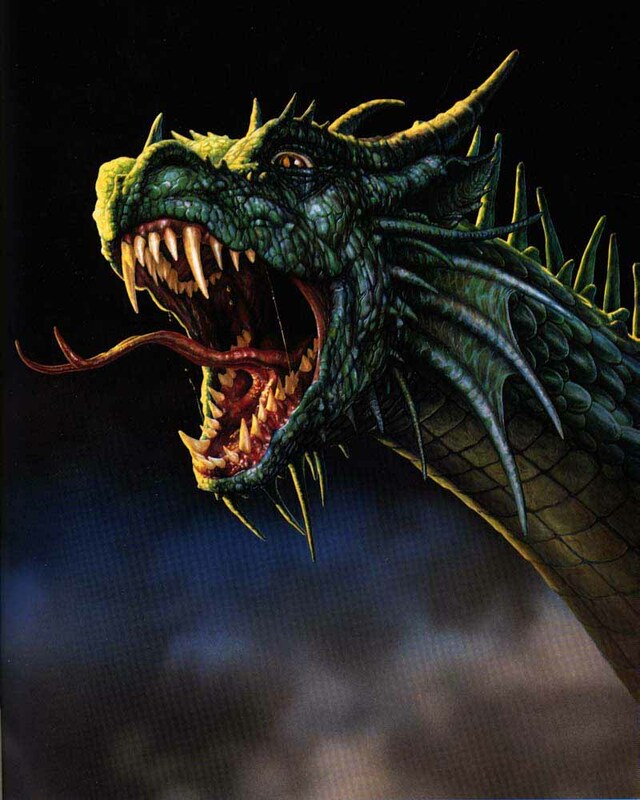 The Ender Dragon just doesn’t have the physical abilities to take on someone like Smaug and hope to win! Smaug wins.